- $1.00 off two Vicks DayQuil, NyQuil or Severe products. 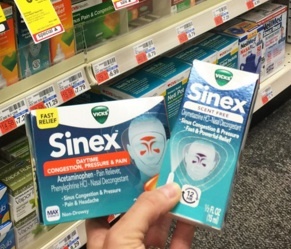 - $1.00 off one Vicks Sinex LiquiCaps Product.. And more. View all coupons available from the manufacturer themselves. You can print vicks coupons directly from P&G, must register or log in. You can sign up here. Get $4.00 Off two Vicks VapoRub products 1.76oz (50g) or 3.53oz (100g) (excludes trial/travel size).